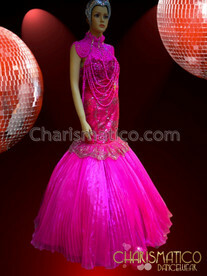 For the drag queens out there, this fuchsia gown is the perfect dress. 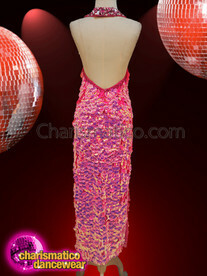 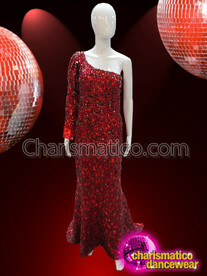 Made with sequin, it is a one shoulder dress and has ruffles. 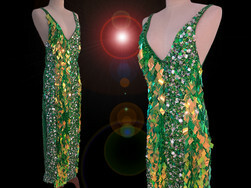 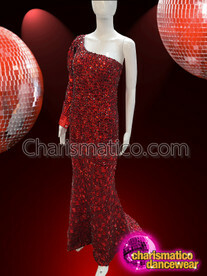 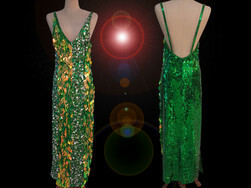 The gown is made mainly for drag queens performing on stage. 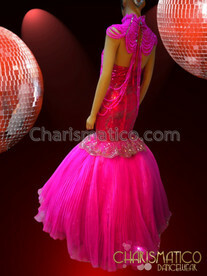 Till the thigh it is covered with fuchsia sequin to match the color and the bottom is covered with ruffles giving it the shape of a mermaid tail.